Hi Everyone! Ivett here again with another project! I would like to share this masculine Christmas postcard I made for my Godson whom is serving overseas this Holiday season. 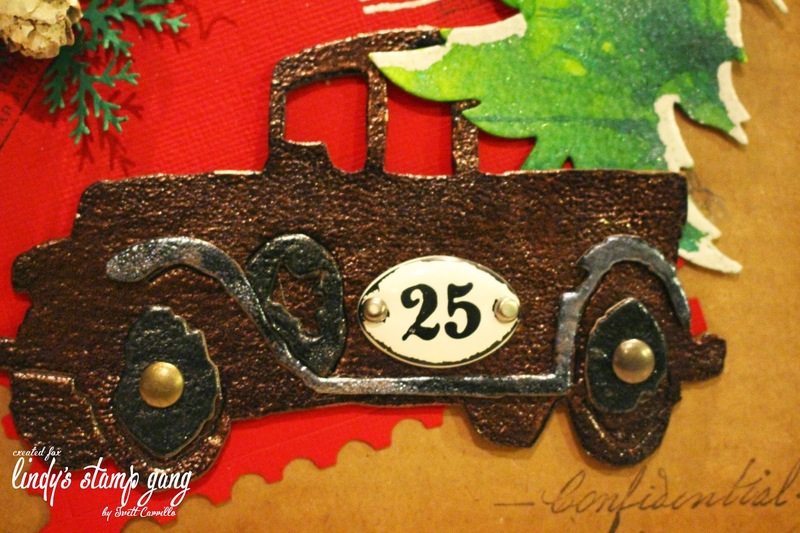 For the card, I used some recycled corrugated cardboard, and put it to good use as my background. Then I added a few die cuts that I jazzed up by adding some Lindy’s magic to them! the wheels to give them that beautiful dark look. For the running board on the Old Jalopy, I added Midnight Pewter & Silver Moon Sapphire to make it glisten like snow! 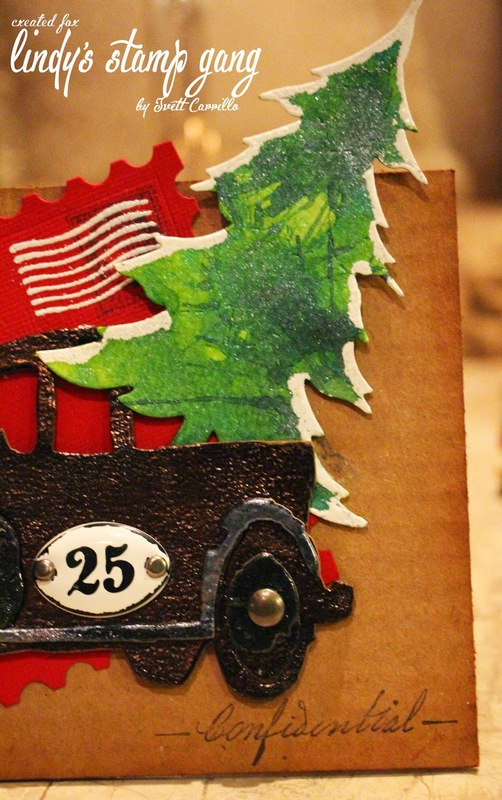 The dies are from the Tim Holtz alterations line and the Christmas tree is from a Sizzix die. The stamps I used are some of my favorites from the Cavallini Papers & Co. line. 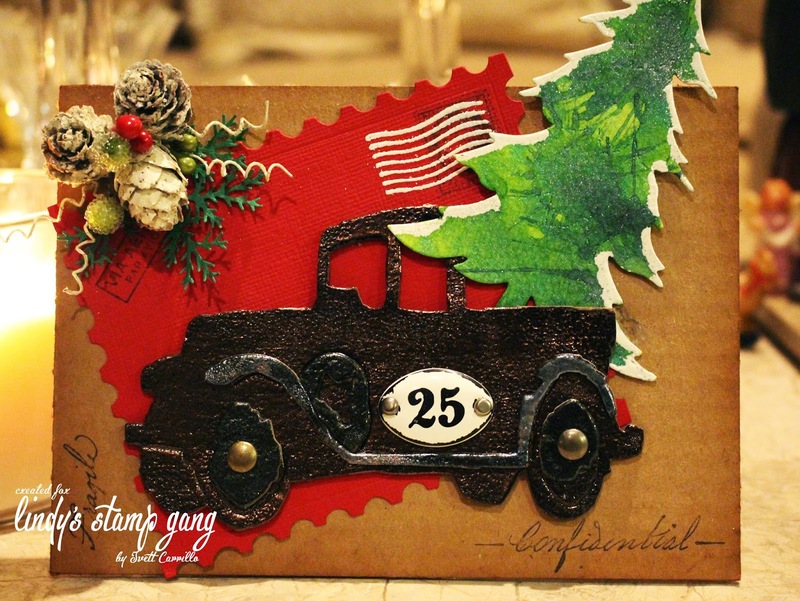 The paper I used is form Basic Grey and Tim Holtz Distress ink in Vintage photo. This is just fabulous!!! I love all the dimension, and the way you used the LSG products is just awesome!